Tattoos should be permanent. Although there are times when a person walks out of a tattoo studio not proud of what they got. You can only deal with an unwanted tattoo in two ways: A tattoo cover-up or removal. 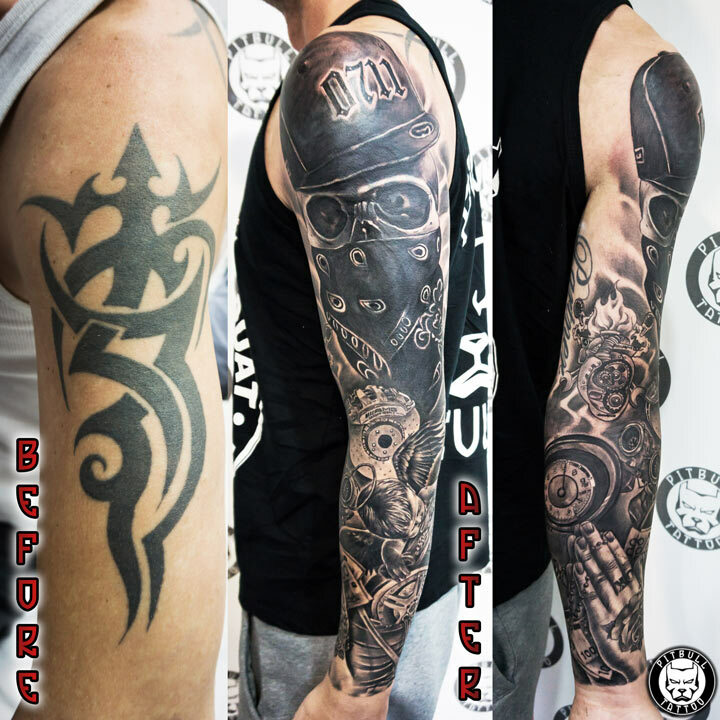 Tattoo cover-ups are the cheapest and they may also completely hide unwanted old tattoos with a new and better design. They may also incorporate some or all elements of the old tattoo. The easiest tattoos to cover up are the lightest and the faded ones. 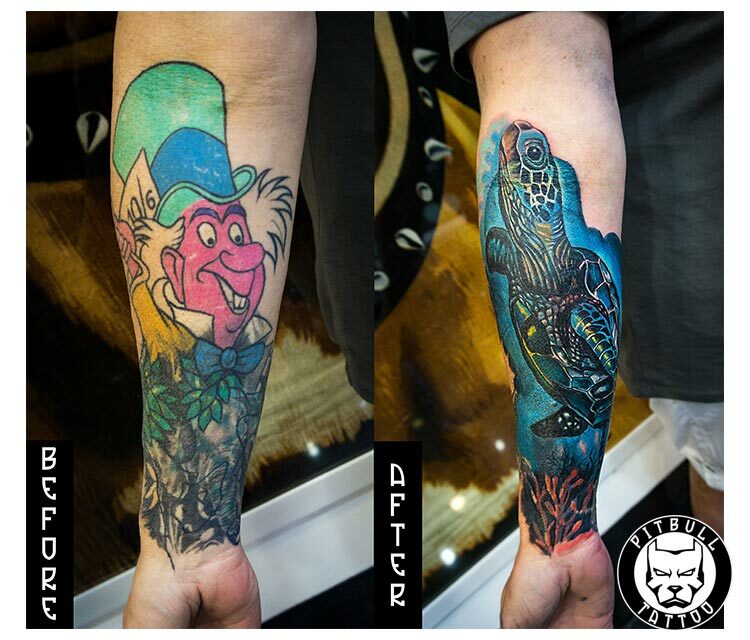 A tattoo artist can only cover up a tattoo with ink of the same brightness or darker. This is the major reason why they may use white ink to lighten the initial tattoo before covering it up. 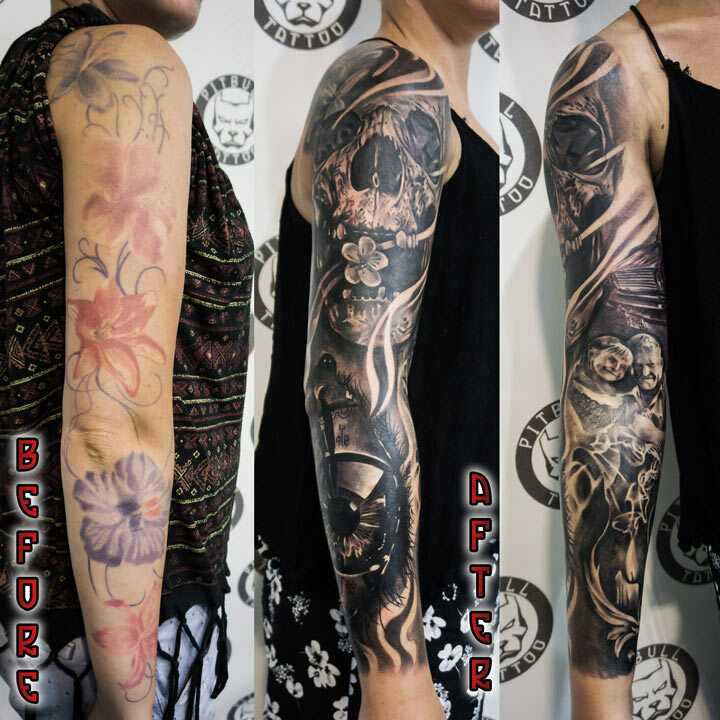 You can also use cover up sleeve or makeup to hide or conceal the tattoo temporarily. 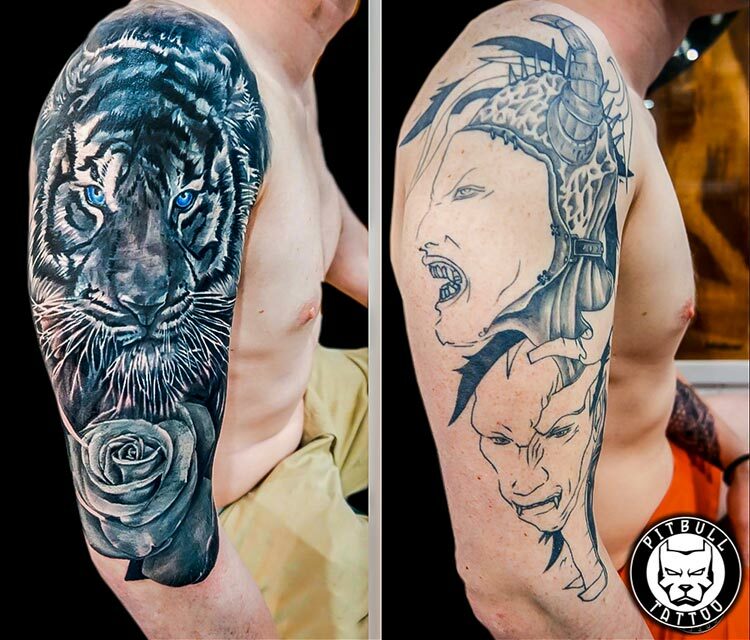 If you have any tattoo that you are not proud of, you should make an appointment and talk with our staff. 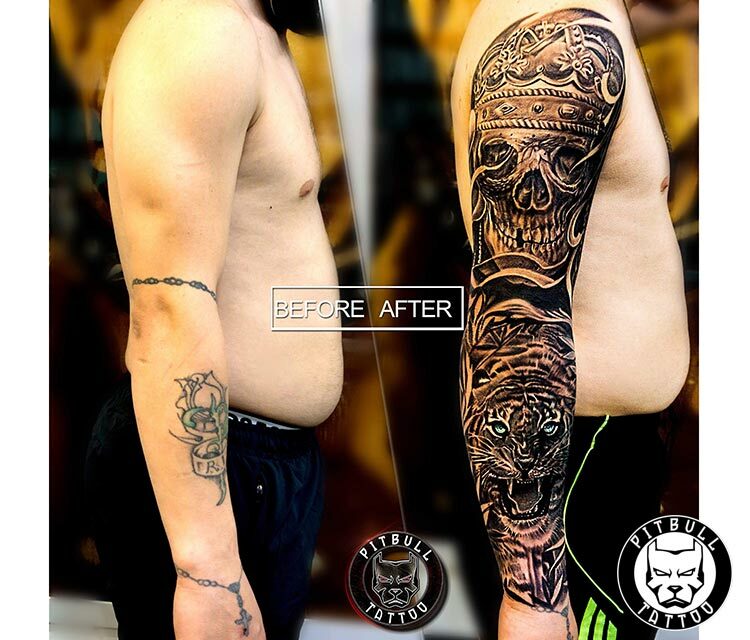 Possibly we are able to cover up any of your tattoos easily. 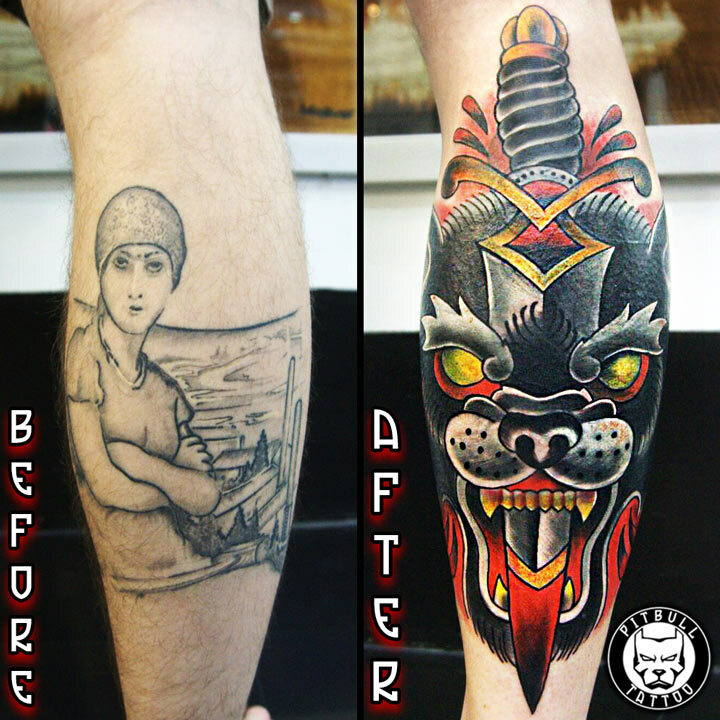 Cover-up tattoos are not necessarily less beautiful than the original ones.